When radio deejay Desiree Germain hosts a contest on the air, she is immediately taken by the smooth, deeply masculine voice of caller number twelve, Kyle Harrison. Later that afternoon, the man behind the voice walks into her studio, and Desiree is instantly smitten. Kyle Harrison is not only devastatingly handsome, he is a brilliant, extremely wealthy entrepreneur from Seattle who is used to getting what he wants. They embark on a thrilling, passionate love affair that plays havoc with the life Desiree has struggled so hard to carefully control. Can Kyle convince Desiree to risk her heart and her career for love? A random thought: the other day, as I caught myself watching the Twilight Zone marathon for the billionth time, I looked up and thought to myself, 'I am a sci-fi girl'. It's not something I ever picked up on before or ever thought about, it just...was. Syrie James makes me feel the same way -- but about romances. I looked up in the middle of this book and thought to myself, 'I am a complete sucker for romance', and her book, Songbird, completely verified that for me. Songbird tells the story of Desiree and Kyle. Two people who happen to randomly meet but have that instant connection. And of course, as all good romances go, there is a world-wind of odds stacked against them. Desiree has a past that affects her relationships, Kyle happens to live hundreds of miles away, and both are definitely scared of the way they feel for each other. 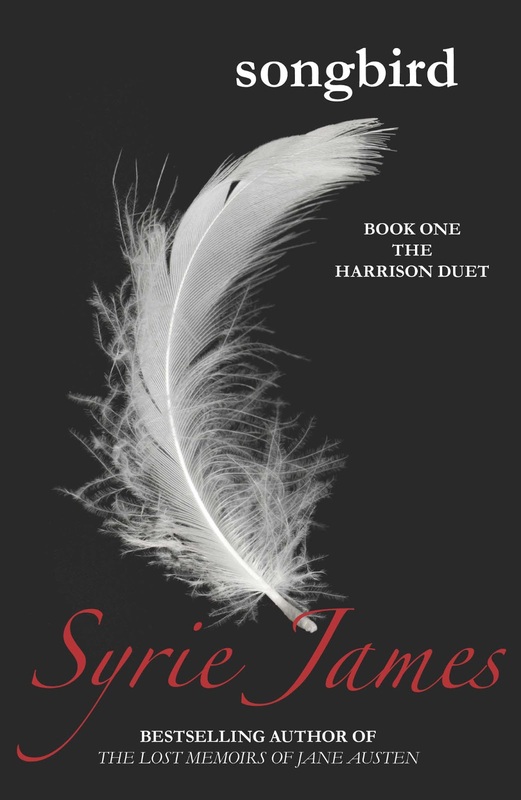 Songbird is your classic romance, but Syrie James still manages to breathe new life into it with this story. I think where the author's strengths really lie is in her ability to make you feel like you're on an emotional roller coaster right alongside the characters. It amazed me that every time Desiree was angry, I was angry. If she was sad, I wanted to cry with her. And if she was happy, I was sighing like a teenage schoolgirl. It is an incredible feat and a testament to Syrie's true talent and ability to write. This book had me so wrapped up that I nearly missed my stop on the train! Definitely give this book a try if you're a fan of rom-coms. It is so worth it to escape from reality every once in a while and remember how it felt the first time you truly fell in love.